First you have to go through security at the entrance of the Sorbonne and if you don’t have a student card or a professor’s I.D., you stay on the street. 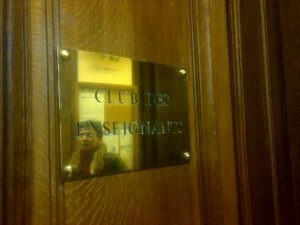 Then you walk through long corridors all the way from Place de la Sorbonne to Rue St Jacques and there, on the left, you see a little wooden door that says : « club des Enseignants », how more fancy can it get ? You push the door and you find a lovely dining room which seats approximately fifty people. A huge Victorian suspension gives style to this very simple place and there is a set menu which changes every day. The cook being Portuguese and a fervent catholic, we had fish on a lent Friday. It was delicious with taboulé to start, a good red wine and desert was an ice cream with black current sauce. The company is super chic since only teachers from the Sorbonne can get in. And even the President was there. Of course you want to know who took me? 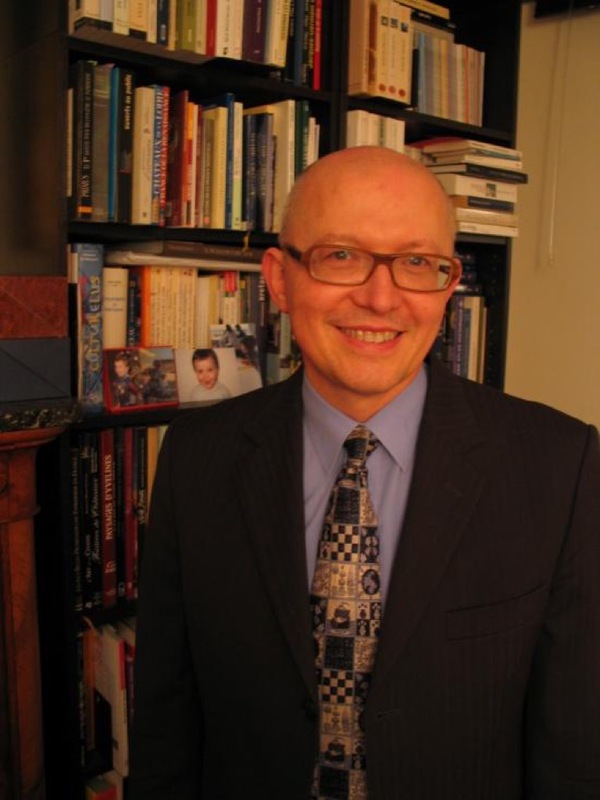 … It was Eric Mension-Rigau, who is Professor of contemporary history at the Sorbonne and the author of « Singulière Noblesse » (Ed. 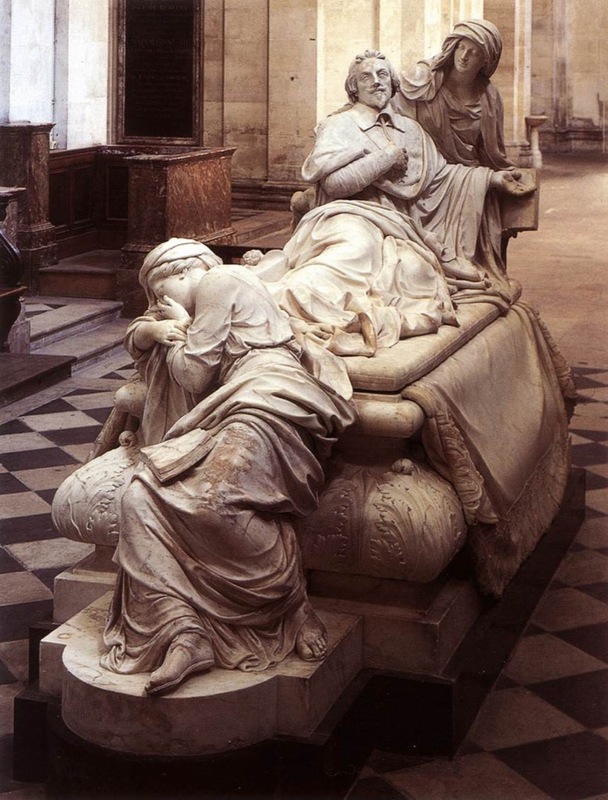 Fayard) literally singular nobility, a study of what French noblesse has become today. Not much if you consider that there are only 3 000 families left, as registered by the ANF or Association de la noblesse française. But quite a lot if you analyse what they do and how they survive in their castles. As Mension-Rigau says, nobility can be summed up to sperm and (blue) blood. 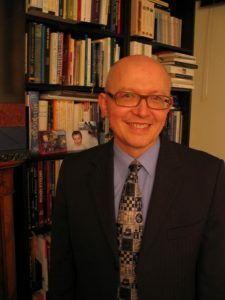 The transmission of values, the upkeep of properties, the duties and responsibilities of aristocrats, all of this is dissected by the author who calls himself an ethnologist. Like you do with monkeys, he learned over a period of 25 years, to penetrate the codes of society. It’s not easy to discuss elegance, heredity and distinction in a sociological way and even less easy to remain interesting all along. For this is one of the qualities of the book: there is not a moment of boredom. He interviews many witty old ladies and young men about the problems they face like : the new generation prefers Ile Maurice or Courchevel in the winter, to the old house in the middle of nowhere. Or how do you make money with such dilapidated roofs and no swimming pool? At the beginning of the 20 th century, American heiresses revitalised French famillies (just like in England), but now not even the Chinese want to live in XVIII th century castles. 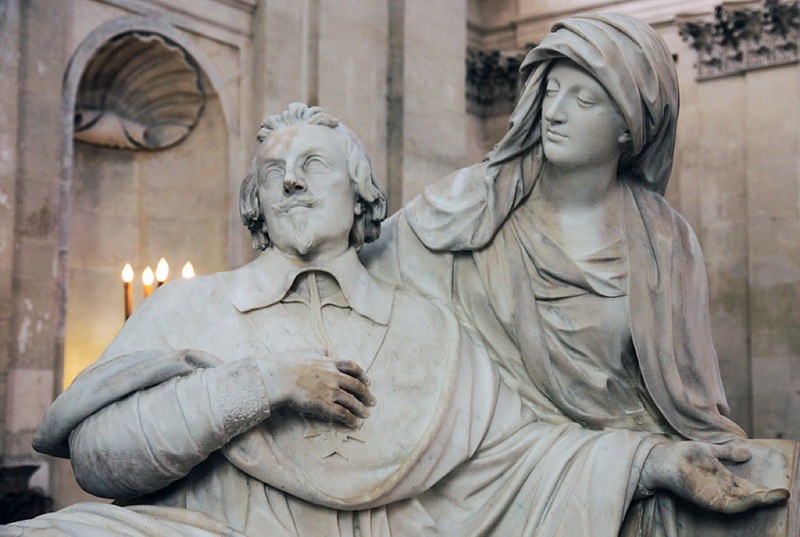 Lunch was followed by the private visit of Cardinal de Richelieu’s tomb in the Chapel of the Sorbonne which can usually only be seen on tours. (You can apply at visites.sorbonne@ac-paris.fr) The statue by François Girardon is a striking Carrare marble piece, where Cardinal de Richelieu is surrounded by beautiful ladies who help him to sit up. And suddenly, we were immersed in the main topic of the book: Richelieu has no more male heirs. Love it. I wonder how you come across such weirdoes! Such fun to read you….